Can driving a classic car make you a better driver? Recent innovations in car technology, like parking sensors, blind spot detectors and hill start assist make it easier for people to learn how to drive. However, they can also make learners over-reliant on assistive technology, leaving them unprepared and without the skills needed for unaided driving. Many young drivers who buy and insure a car for the first time may not be able to afford a new vehicle, with the most up-to-date technology. So what happens when they pass their test, and they’re no longer supported by the high-tech vehicle they became accustomed to in their driving lessons? By learning in a classic car - a vehicle that finds beauty in simplicity - elements of technology are absent, leaving the learner to rely on their own driving skills alone. This can help make people better drivers and ensures they are more prepared for the road. First and foremost, you’ll need a classic car to practice in. Thankfully, this doesn’t mean you immediately have to go out and buy your own. 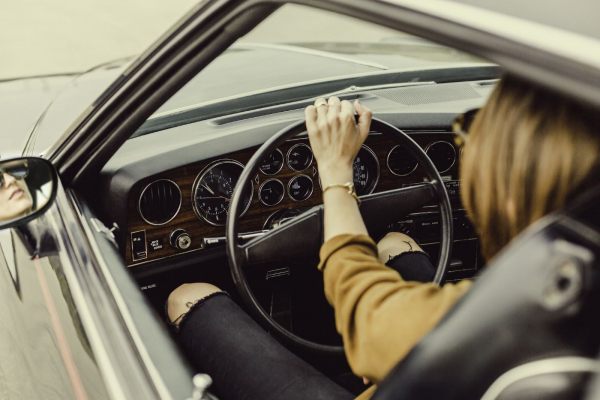 Whether it’s a parent, grandparent or friend, you’ll need to know somebody who owns a classic car – and they must be willing to let you learn in it. Depending on what kind of insurance policy the classic car owner has in place, you may be able to gain temporary insurance on the car while learning. Once you have all these boxes ticked, the benefits of learning in a classic car are plentiful. Many modern vehicles are built with automated assistance features and while these can make the roads safer, they can also make the driver lazy. Blind spot detectors, for instance, use ultrasonic or radar sensors to alert the driver if another vehicle is coming alongside them. Until the flagged vehicle is out of your blind spot and located somewhere you can’t miss it, the alert will remain in place. If you’re drifting, the blind spot detector will blink your indicators to warn nearby vehicles that you may be about to move into their path. While this can be beneficial for you and other drivers around you, it can make you complacent as a driver. With technology like this, learners and drivers alike may neglect doing shoulder checks and instead rely on technology to do the checking for them. Learning in older cars helps drivers to become more self-reliant and reduces the risk of complacency in situations like lane-to-lane drifting. While vintage dashboards are pretty, they’re also far less distracting than the dashboard of a modern vehicle. With smart, touch-screen stereo systems and interactive dials, there’s much more room for distraction. In 2015 for example, 2,920 road accidents were caused by in-car distractions including changing the radio station and talking to another passenger - and 61 of these accidents were fatal. Telephone-style touch screens on our dashboards also constantly demand the attention of drivers who should be using all of their concentration on completing their journeys safely. With a beautifully simple layout, classic cars are far less distracting, and depending on the age of the car they may not even come with a stereo system. Classics also lack built-in GPS technology and Bluetooth connectivity, so you won’t have the temptation to tweak a GPS entry or scroll through your phone trying to find the right song as you drive. By prohibiting in-car tech, drivers are much less likely to become distracted while driving. But until these improvements can be made, modern cars still pose a danger to drivers and learners alike – which is why learning to drive in a more low-tech car may be necessary. It’s clear that the changing face of in-car technology is having an impact on the way people learn to drive, which is why reverting back to the basics can make all the difference. Learning in a classic car with a more traditional set-up can make drivers more self-reliant rather than tech-reliant. This is not to say that in-car technology like automated assistance features should not be used at all. Of course, they can make roads safer and driving easier – but it is important that innovative technology should never be fully relied on and that honing your driving skills should always take priority before adopting assistive tech.